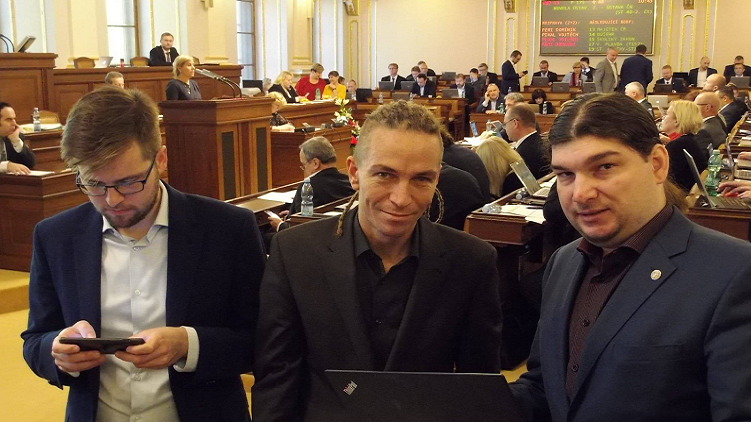 The Pirates of the Czech Republic have become a shining success story of the global Pirate movement, becoming the third largest party in the national legislature with 22 Members of Parliament, as well as getting 262 local council representatives elected, and winning enough support to appoint the mayor of Prague (Zdeněk Hřib). 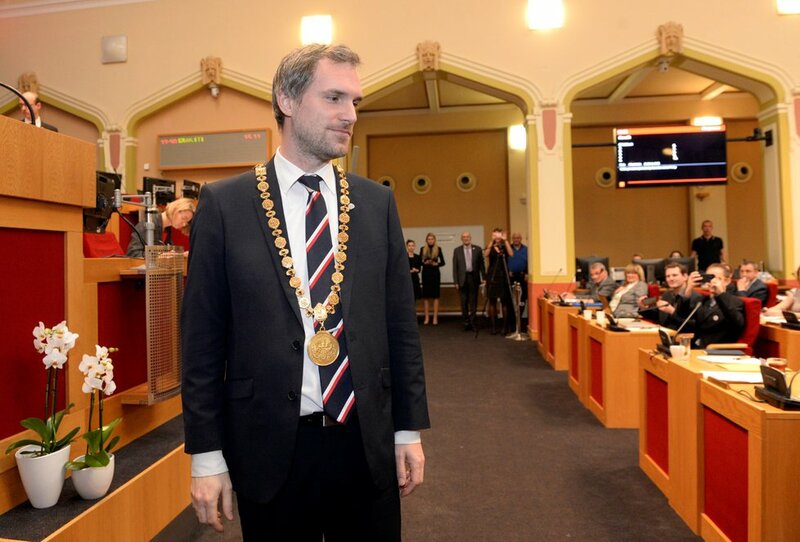 Mr. Hřib is the first Pirate mayor of a capital city anywhere in the world. 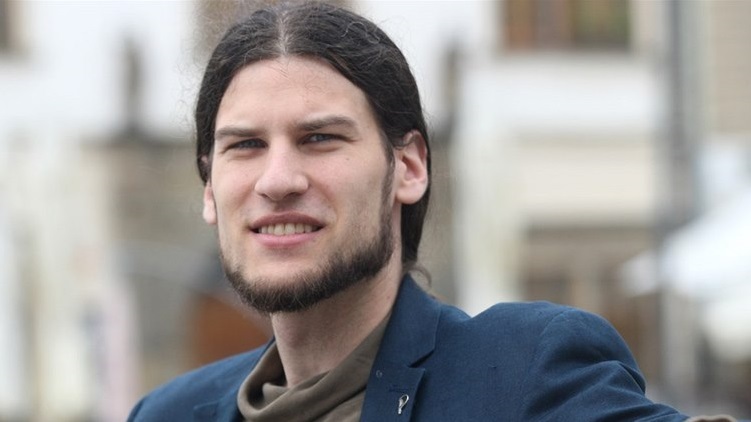 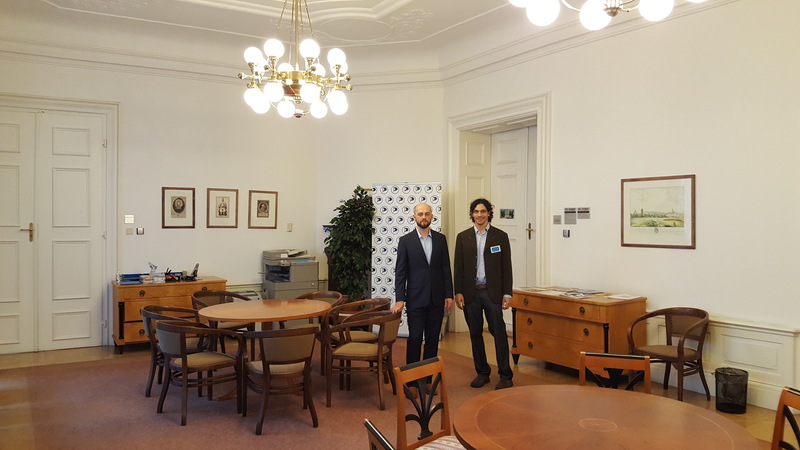 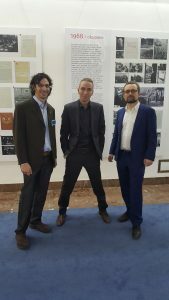 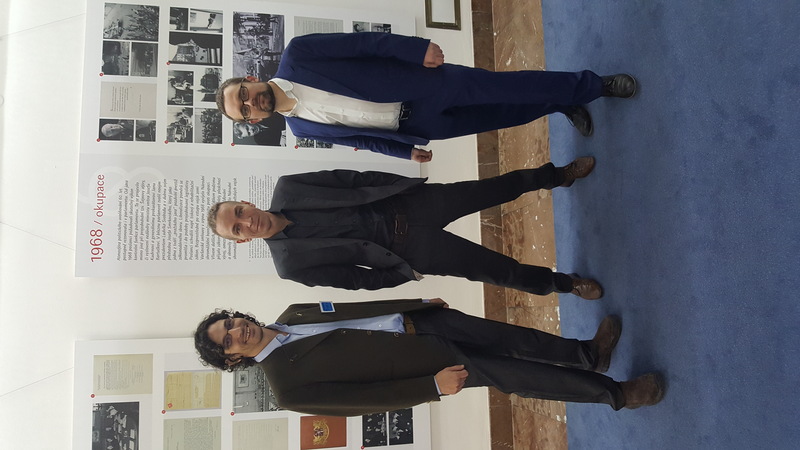 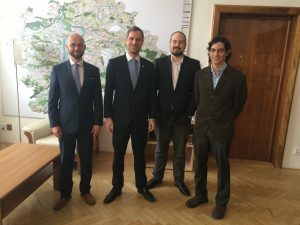 This week PPI board members held personal talks with the Czech Pirate Party’s chairperson (MP Ivan Bartos), vice chairperson (MP Mikuláš Peksa), and others (Vice-speaker of Parliament MP Vojtěch Pikal and MP Jan Lipavský). 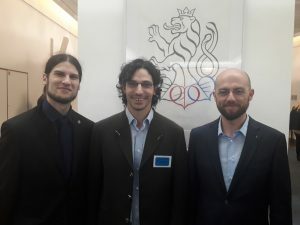 We learned about their activities and discussed collaborative efforts towards achieving common Pirate goals, such as fighting corruption, improving transparency, promoting e-democracy, and supporting cyber security and online freedom. 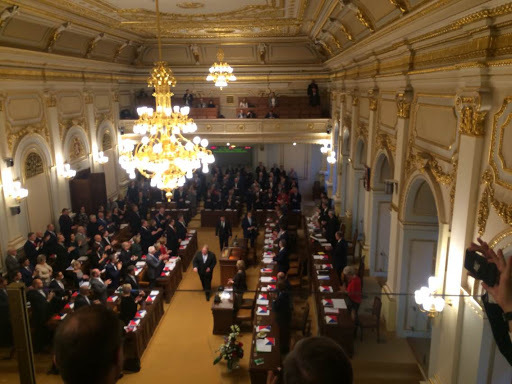 We were able to attend the 100th anniversary of the Czechoslovak Parliament. 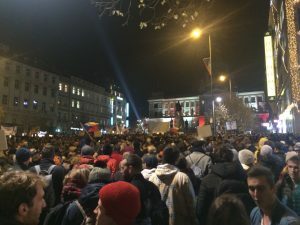 The event took place at a time of great controversy in the country, when its Prime Minister (Andrej Babiš) is accused of corruption and kidnapping of his own son to prevent prosecution. 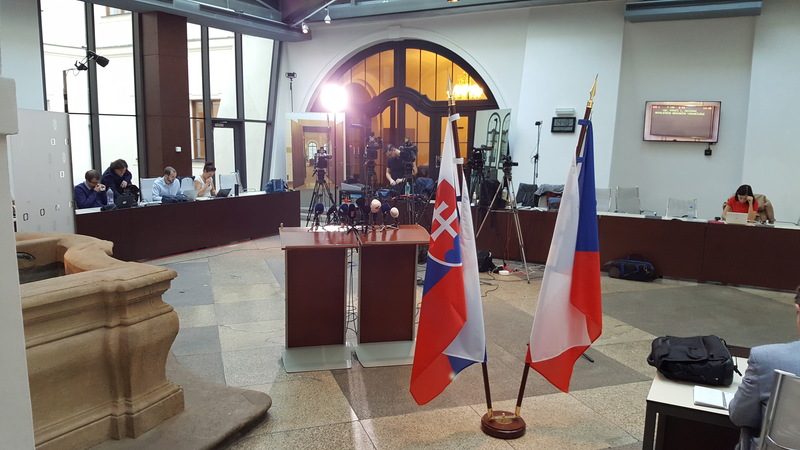 The Pirates in the Czech Republic run a platform that combats the corruption epitomized by Babiš, who unexpectedly went absent from the monumental centennial event to conduct press conferences on his own behalf. 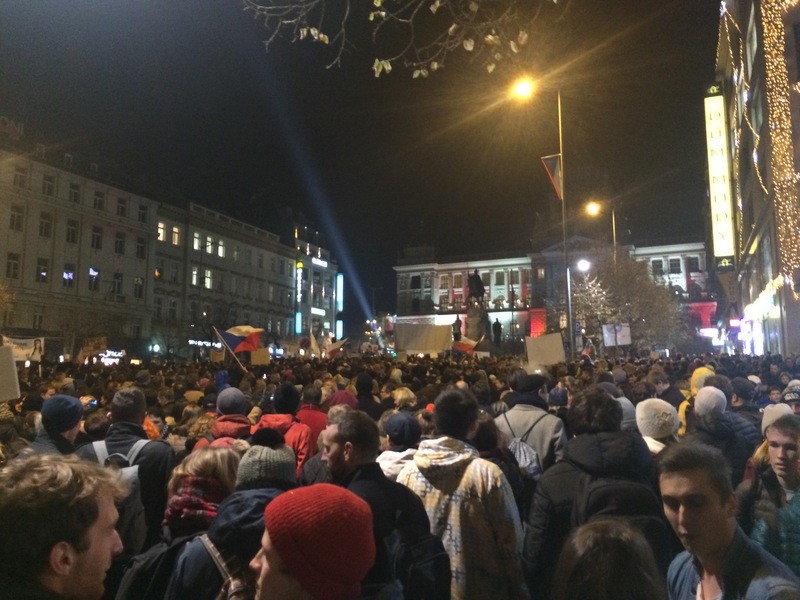 Owing to the scandal that evening a massive protest erupted on the streets of Prague. We wish the Czech Pirates a continued success and we look forward to collaborating with them. 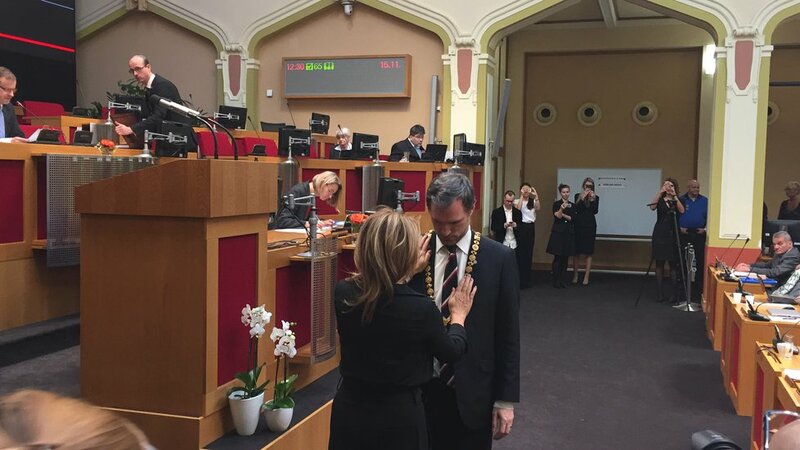 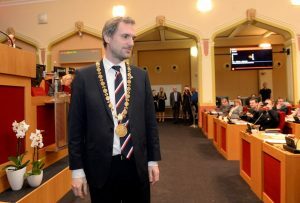 Zdeněk Hřib being inaugurated as the new mayor of Prague on November 15th, 2018. 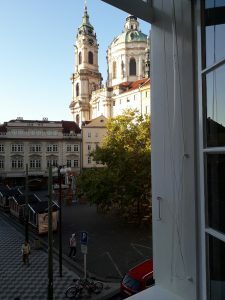 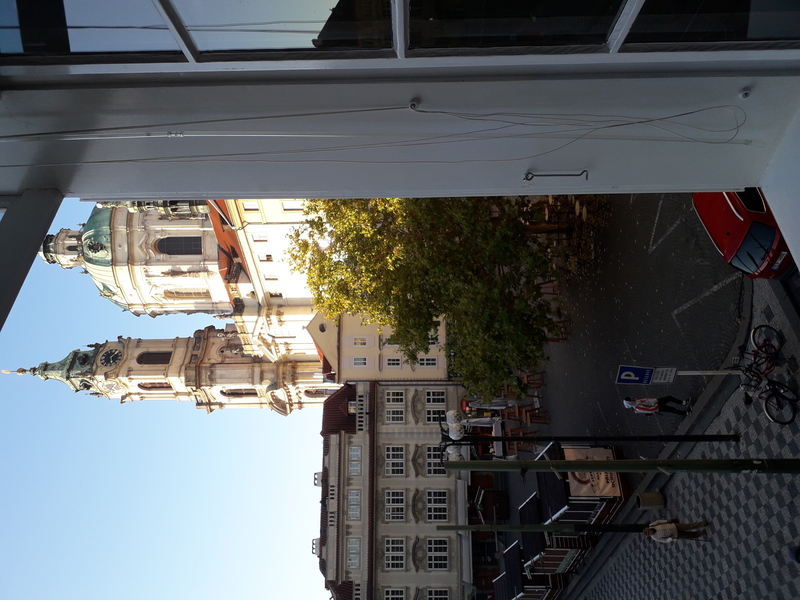 The view of Prague from the window of the Pirate headquarters in parliament.